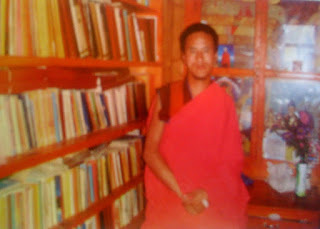 Around 4 pm on 19 November 2012, a posse of China's Public Security Bureau personnel arrested Gartse Jigme from his home in a small nomadic community in northeastern Tibet. Thirty-six-year-old Jigme is the author of Tsenpoi Nyingtob (The Warriors' Courage, Vol-1), which was published in 2008. The second volume of the title - containing 25-chapters focussing on various issues such as self-immolation, Tibetan government-in-exile, environment etc. - was published in 2012. Due to China's media blackout, Jigme's arrest and imprisonment remained unknown until 11 January 2013 when the Voice of Tibet Radio service broke the news. According to VOT, Jigme has been under surveillance since 2008 and his arrest is most likely linked to the publication of The Warrior's Courage Vol-2. He is currently being held in a prisoned located somewhere in Xining. Following is a short excerpt from my piece on Jigme's book. Please read the full review from YAK HORNS: Notes on Contemporary Tibetan Writing, Music, Film and Politics. Jigme was born on 6 January 1976 in Gonshul, a nomadic encampment in Amdo. He spent three years in school and then joined the local Gargon Choeling Monastery where he mastered all traditional fields of learning. In this book Jigme asserts that the current crisis in Tibet has direct links to China’s occupation of the plateau and its subsequent campaigns such as the Democratic Reform and Great Leap Forward. 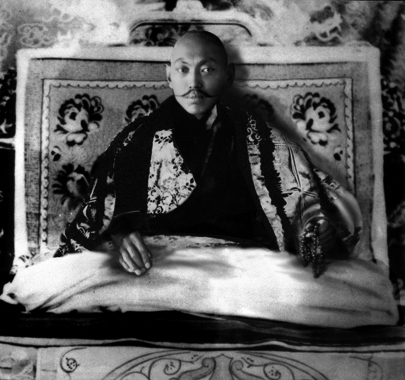 During these gigantic Communist experiments hundreds of thousands of Tibetans died from hunger, including six members of his mother’s family. Beijing, Jigme writes, cannot wish away the hurts and pains buried deep inside each Tibetan just by chanting ‘liberation’ again and again. As long as a fundamental solution is not reached that satisfies the Tibetan demands, ‘the protests will go on’. In 1933 I stated that we must ‘[m]aintain friendly relations with the two great powers, China and India, conscript able soldiers to guard the borders and make them sufficiently strong to ward off those countries with whom we have had border disputes. The armed forces should be drilled and disciplined so as to be effective and strong to overcome those who threaten us.’ Much water has flowed under time’s bridge since I said these words. The world that I knew has long since disappeared. Old boundaries have been erased and new ones drawn. Consequently, we need to not only obsessively invest in education and accumulate knowledge but also develop tactical wisdom to translate our vast global goodwill into concrete political support. China is no longer the weak and strife-torn country of a century ago: it has metamorphosed into an economically strong nation that thuggishly flexes its muscles at anyone and any country that dares to speak or openly support us Tibetans. This harsh reality calls for fresh ideas, better strategies and long-term vision. We must build new forces such as concerted multi-lateral actions and strategic non-violent campaigns. We must cease to beg with folded hands at the earless walls of the United Nations and start to take our struggle to the next level with self-assuredness and inner strength. The People’s Republic of China may have the largest cash reserve in the world but it is a giant balloon with millions of needles piercing from within. Its leaders are blinkered, its system corrupt and its future uncertain.